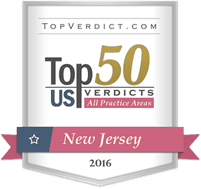 Woodbridge Personal Injury Attorney | Car Accident Lawyer | Palmisano & Goodman, P.A. If you have been injured as a result of the negligent, criminal or reckless actions of another individual, our trial lawyers are here for you. We have seen firsthand how difficult an injury is for victims - the rising medical costs, lost wages, and the physical pain that you deal with every day. Our team of Woodbridge personal injury lawyers is dedicated to helping you fight for full and fair compensation. We have a long history of case successes and millions of dollars in verdicts and settlements for our clients. When you need professional and effective legal representation for your injury claim, we are the team you can trust. Our lawyers will personally handle each legal aspect of your case. We will not hand your case off to a paralegal nor will we treat you as just another case number. Our attorneys will offer you the highest caliber of representation and pursue the most favorable case outcome possible. With more than four decades of experience and a history of success, you can be confident in our ability to maximize your compensation. Contact Palmisano & Goodman, P.A. Today! 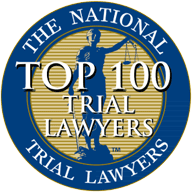 Our award-winning trial lawyers have been representing clients throughout the local community for more than four decades.